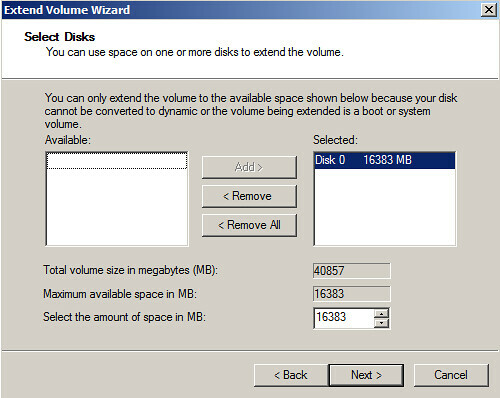 Just be sure to thin-provision your disk in the first place. 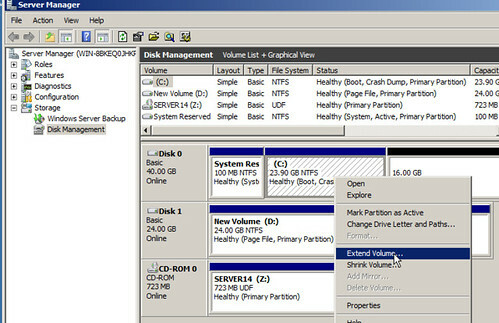 Otherwise you can't extend the boot partition. 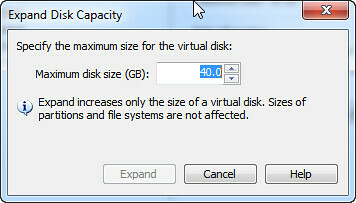 I am using windows 7 and with VM ware workstation, I have c drive only and i am trying to extend it to 65GB. 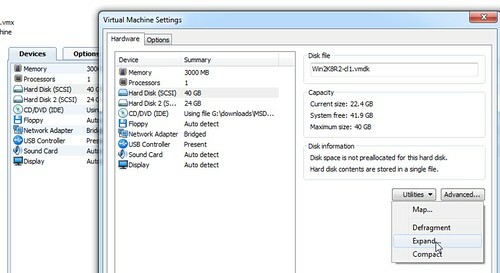 so, after I go with your steps dont i have to use windows 7 DVD for repairing? and will there be any effect to installed applications, i dont want to loose them?